Our hot air ovens are made with grade quality material, and the outstanding finishing of the outer body further increases its durability even in highly challenging conditions. They utilize forced air circulation for their operations and can be found mostly in Laboratories, Medical, Pharmaceutical or Textile Industries. Meta Therm Furnace Pvt. 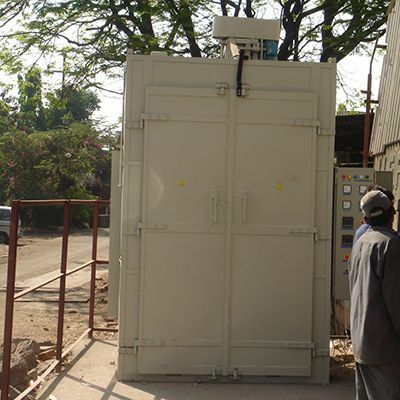 Ltd is recognized as one of the preeminent Hot Air Oven Manufacturers In Mumbai. Our manufacturing unit is equipped with latest technologies and all the modern tools required for creating this world-class Industrial Hot Air Oven. If you want to get it right now, place an order by getting in touch with us directly. We are one of the key Laboratory Hot Air Ovens Exporters and Suppliers in India. Fill the given enquiry form to request a quote for our High-Temperature Hot Air Oven.